Falcon X3+, Standard Range 2D Imager - 29 key Numeric Keypad - Pistol Grip - No Camera - Windows CE 6.0 - QVGA Display - Bluetooth/Wi-Fi (802.11a/b/g/n) - Standard Memory - Charging Docks and Power supply Sold Separately. Single slot charging dock includes power supply and cable (Part# 94A150057). Quad Charging dock (Part# 94A151135) require power cord (Part# 95ACC1113). Falcon X3+, Standard Range 2D Imager, 52 key Alphanumeric Keypad, Handheld, 3.1MP Camera, Windows Embedded Handheld 6.5, VGA Display, Bluetooth/Wi-Fi (802.11a/b/g/n), Standard Memory. Charging Docks and Power supply Sold Separately. Single slot charging dock includes power supply and cable (Part# 94A150057). Quad Charging dock (Part# 94A151135) require power cord (Part# 95ACC1113). Falcon X3+, High Performance 1D Laser Scanner, 52 key Alphanumeric Keypad, Handheld, No Camera, Windows CE 6.0, QVGA Display, Bluetooth/Wi-Fi (802.11a/b/g/n), Standard Memory. Charging Docks and Power supply Sold Separately. Single slot charging dock includes power supply and cable (Part# 94A150057). 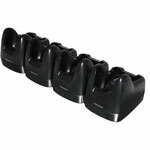 Quad Charging dock (Part# 94A151135) require power cord (Part# 95ACC1113). Falcon X3+, High Performance 1D Laser Scanner, 52 key Alphanumeric Keypad, Pistol Grip, 3.1MP Camera, Windows Embedded Handheld 6.5, VGA Display, Bluetooth/Wi-Fi (802.11a/b/g/n), Standard Memory. Charging Docks and Power supply Sold Separately. Single slot charging dock includes power supply and cable (Part# 94A150057). Quad Charging dock (Part# 94A151135) require power cord (Part# 95ACC1113). Falcon X3+, Pistol Grip, 802.11a/b/g/N Ccx V4, Bluetooth V2.1, 256Mb Ram/1Gb Flash, Vga, 29 key Functional Numeric F1-F12, Extended Range Imager (Xlr), Camera 3.1Mp, Wehh 6.5. Charging Docks And Power supply Sold Separately. Single Slot Charging Dock Includes Power supply And Cable (Part# 94A150057). Quad Charging Dock (Part# 94A151135) Require Power cord (Part# 95Acc1113). Falcon X3+, Pistol Grip, 802.11a/b/g /N Ccx V4, Bluetooth V2.1, 256Mb Ram/1Gb Flash, Qvga, 29 key Functional Numeric F1-F12, Extended Range Imager (Xlr), Windows Ce 6.0. Charging Docks And Power supply Sold Separately. Single Slot Charging Dock Includes Power supply And Cable (Part# 94A150057). Quad Charging Dock (Part# 94A151135) Require Power cord (Part# 95Acc1113). Falcon X3+, Pistol Grip, 802.11a/b/g/N Ccx V4, Bluetooth V2.1, 256Mb Ram / 1Gb Flash, Qvga, 29 key Functional Numeric F1-F12, Standard Range Imager with Green Spot, Windows Ce6.0. Charging Docks And Power supply Sold Separately. Single Slot Charging Dock Includes Power supply And Cable (Part# 94A150057). Quad Charging Dock (Part# 94A151135) Require Power cord (Part# 95Acc1113). Falcon X3+, Pistol Grip, 802.11a/b/g /N Ccx V4, Bluetooth V2.1, 256Mb Ram/1Gb Flash, Qvga, 29 key Functional Numeric F1-F12, High Performance Laser with Green Spot. Charging Docks And Power supply Sold Separately. Single Slot Charging Dock Includes Power supply And Cable (Part# 94A150057). Quad Charging Dock (Part# 94A151135) Require Power cord (Part# 95Acc1113). Falcon X3+, Extended Range 2D Imager, 29 key Numeric Keypad, Pistol Grip, 3.1MP Camera, Windows Embedded Handheld 6.5, VGA Display, Bluetooth/Wi-Fi (802.11a/b/g/n), Standard Memory. Charging Docks and Power supply Sold Separately. Single slot charging dock includes power supply and cable (Part# 94A150057). Quad Charging dock (Part# 94A151135) require power cord (Part# 95ACC1113). Falcon X3+, Standard Range 2D Imager, 29 key Numeric Keypad, Pistol Grip, 3.1MP Camera, Windows Embedded Handheld 6.5, VGA Display, Bluetooth/Wi-Fi (802.11a/b/g/n), Standard Memory. Charging Docks and Power supply Sold Separately. Single slot charging dock includes power supply and cable (Part# 94A150057). 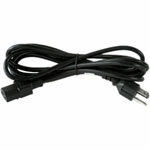 Quad Charging dock (Part# 94A151135) require power cord (Part# 95ACC1113). Falcon X3+, Auto-Ranging 1D Laser Scanner, 52 key Alphanumeric Keypad, Pistol Grip, 3.1MP Camera, Windows Embedded Handheld 6.5, VGA Display, Bluetooth/Wi-Fi (802.11a/b/g/n), Standard Memory. Charging Docks and Power supply Sold Separately. Single slot charging dock includes power supply and cable (Part# 94A150057). Quad Charging dock (Part# 94A151135) require power cord (Part# 95ACC1113). Falcon X3+, Auto-Ranging 1D Laser Scanner, 29 key Numeric Keypad, Pistol Grip, 3.1MP Camera, Windows Embedded Handheld 6.5, VGA Display, Bluetooth/Wi-Fi (802.11a/b/g/n), Standard Memory. Charging Docks and Power supply Sold Separately. Single slot charging dock includes power supply and cable (Part# 94A150057). Quad Charging dock (Part# 94A151135) require power cord (Part# 95ACC1113). Falcon X3+, High Performance 1D Laser Scanner, 29 key Numeric Keypad, Pistol Grip, 3.1MP Camera, Windows Embedded Handheld 6.5, VGA Display, Bluetooth/Wi-Fi (802.11a/b/g/n), Standard Memory. Charging Docks and Power supply Sold Separately. Single slot charging dock includes power supply and cable (Part# 94A150057). Quad Charging dock (Part# 94A151135) require power cord (Part# 95ACC1113). Falcon X3+, Extended Range 2D Imager, 29 key Numeric Keypad, Pistol Grip, No Camera, Windows CE 6.0, QVGA Display, Bluetooth/Wi-Fi (802.11a/b/g/n), Standard Memory. Charging Docks and Power supply Sold Separately. Single slot charging dock includes power supply and cable (Part# 94A150057). Quad Charging dock (Part# 94A151135) require power cord (Part# 95ACC1113). Falcon X3+, Auto-Ranging 1D Laser Scanner, 29 key Numeric Keypad, Pistol Grip, No Camera, Windows CE 6.0, QVGA Display, Bluetooth/Wi-Fi (802.11a/b/g/n), Standard Memory. Charging Docks and Power supply Sold Separately. Single slot charging dock includes power supply and cable (Part# 94A150057). Quad Charging dock (Part# 94A151135) require power cord (Part# 95ACC1113). 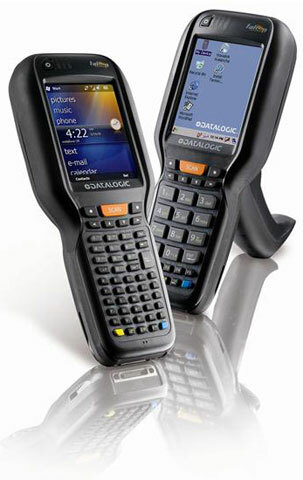 Falcon X3+, Standard Range 2D Imager, Handheld, 29 key Numeric Keypad, Bluetooth interface, Windows CE 6.0. Charging Docks and Power supply Sold Separately. 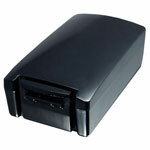 Single slot charging dock includes power supply and cable (Part# 94A150057). Quad Charging dock (Part# 94A151135) require power cord (Part# 95ACC1113). Falcon X3+, High Performance 1D Laser Scanner, 52 key Alphanumeric Keypad, Handheld, 3.1MP Camera, Windows Embedded Handheld 6.5, VGA Display, Bluetooth/Wi-Fi (802.11a/b/g/n), Standard Memory. Charging Docks and Power supply Sold Separately. Single slot charging dock includes power supply and cable (Part# 94A150057). Quad Charging dock (Part# 94A151135) require power cord (Part# 95ACC1113). Falcon X3+, Standard Range 2D Imager, 52 key Alphanumeric Keypad, Handheld, No Camera, Windows CE 6.0, QVGA Display, Bluetooth/Wi-Fi (802.11a/b/g/n), Standard Memory. Charging Docks and Power supply Sold Separately. Single slot charging dock includes power supply and cable (Part# 94A150057). Quad Charging dock (Part# 94A151135) require power cord (Part# 95ACC1113). Falcon X3+, High Performance 1D Laser Scanner, 29 key Numeric Keypad, Handheld, 3.1MP Camera, Windows Embedded Handheld 6.5, VGA Display, Bluetooth/Wi-Fi (802.11a/b/g/n), Standard Memory. Charging Docks and Power supply Sold Separately. Single slot charging dock includes power supply and cable (Part# 94A150057). Quad Charging dock (Part# 94A151135) require power cord (Part# 95ACC1113). Falcon X3+, Standard Range 2D Imager, 29 key Numeric Keypad, Handheld, No Camera, Windows CE 6.0, QVGA Display, Bluetooth/Wi-Fi (802.11a/b/g/n), Standard Memory. Charging Docks and Power supply Sold Separately. Single slot charging dock includes power supply and cable (Part# 94A150057). Quad Charging dock (Part# 94A151135) require power cord (Part# 95ACC1113). Falcon X3+, High Performance 1D Laser Scanner, 29 key Numeric Keypad, Handheld, No Camera, Windows CE 6.0, QVGA Display, Bluetooth/Wi-Fi (802.11a/b/g/n), Standard Memory. Charging Docks and Power supply Sold Separately. Single slot charging dock includes power supply and cable (Part# 94A150057). Quad Charging dock (Part# 94A151135) require power cord (Part# 95ACC1113).